Summer is in the air…..
and it’s a beautiful day here in Colorado a little windy but not too. Just recorded episodes 6 and 7 yesterday with the help of Mr. Glenn Stebleton (who made the comment that started this whole podcast thing rolling for At-The-Helm). Many thanks due Glenn for his work on this project. Speaking of the project I’ll be putting up show#5 tomorrow on the first of June. This will be the last of the Ohio period programs and I think you’ll enjoy the musical selections presented. Meanwhile more yard work to do, back with a new show tomorrow, thanks for checking in. Between that , yardwork, petsitting, and dad’s taxi- a moment to blog. Greetings. Over the weekend managed to re-record Episode #4 and also put #5 in the can. Should be set for the next few weeks, thanks again to Glenn. Also continuing to assemble material for the film score I’m working on, a lot left to do there still. Looking to put Episode #4 up a week from tomorrow, please stay tuned. 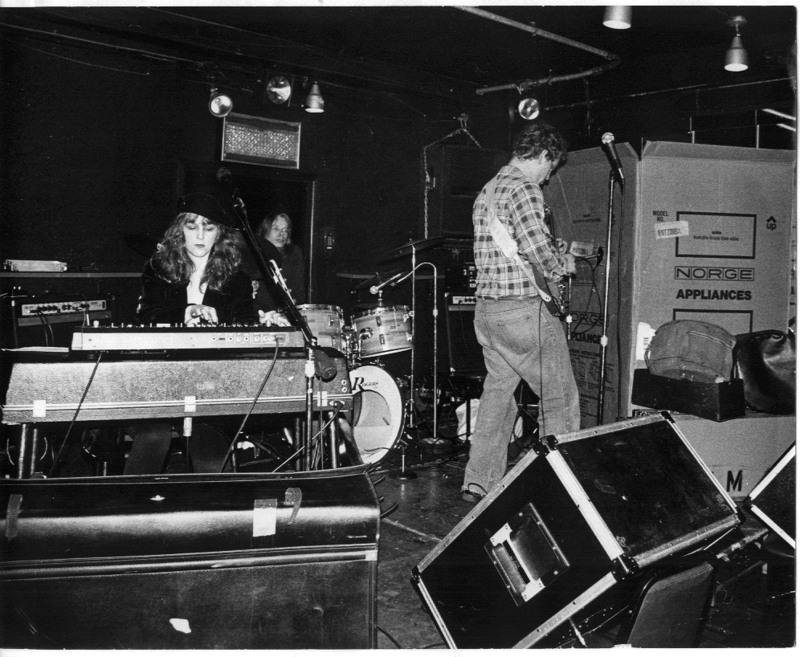 I finished compiling the music yesterday for Episode #5 which features home studio work from 1986 and marks the end of the Ohio period (when dinosaurs roamed the earth before renting a U-Haul truck and driving to California). 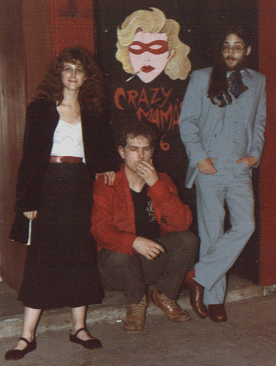 Here’s a couple of pics from those days, back when our band “Ample Parking” gigged out in local Columbus venues like Crazy Mama’s. 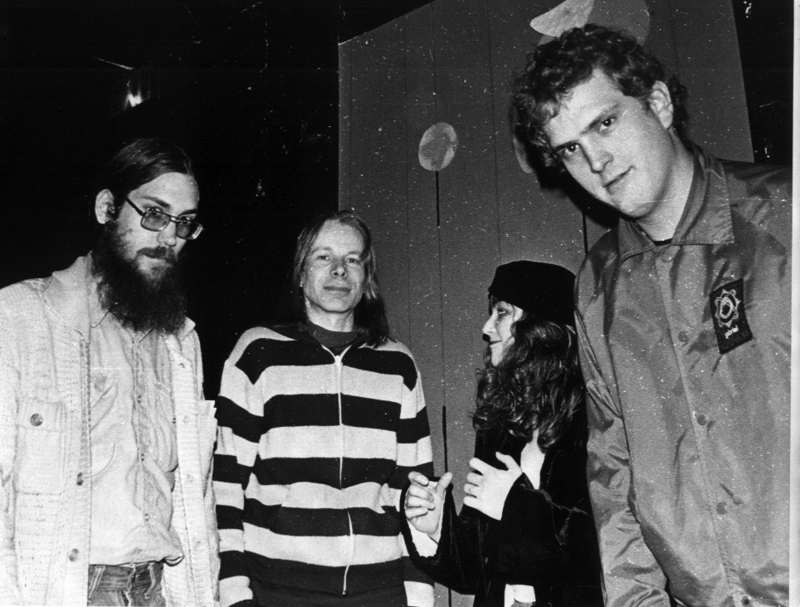 Jim Cunningham, Wally Mitchell, Sarajane and Bryan Helm; that’s us back in the ’80’s Ohio Indie Music scene. Still on target for a midmonth May release of Episode #4 in the At-The-Helm podcast series. Many thanks to those of you who have taken the time to listen to the shows so far, I hope you’re enjoying the music as much as I’ve enjoyed making it. Have a great day, more soon. Happy May Day! Just a quick note to say that Episode #3 of At-The-Helm is up and running. Please take the time to give it a listen and I think you’ll enjoy what you you hear. Any and all comments are as always welcome and my thanks again for your interest.